A position becomes vacant or a new requirement comes up in the team. You carefully craft a job description, perhaps advertise internally first and then you probably end up advertising on a job site or with a recruiter. Your prime concern? Finding the right person for the job, someone who will meet or even exceed the skills and requirements of the role, who will stay with the company, help you to grow and add value, right? Because you've included the words "Full Time Role" it seems your prime concern is getting a bum on a seat five times a week. You've just cut off thousands of people who would have excelled at the job, brought commitment and vigour, could have added untold value, used their knowledge and experience and perhaps even brought a different perspective to your organisation. One of the worst things I saw recently on an application form was a grid table divided into a.m. and p.m. slots by days of the week and asked applicants if they were applying for a part-time role, to tick when they could work. This same organisation cited "wanting to become more diverse and inclusive" and "wanted someone with good digital skills." Jobs that need digital skills don't happen 9-5, and if you really want a more diverse and inclusive workforce then educate yourself on the enormous range of flexible options. 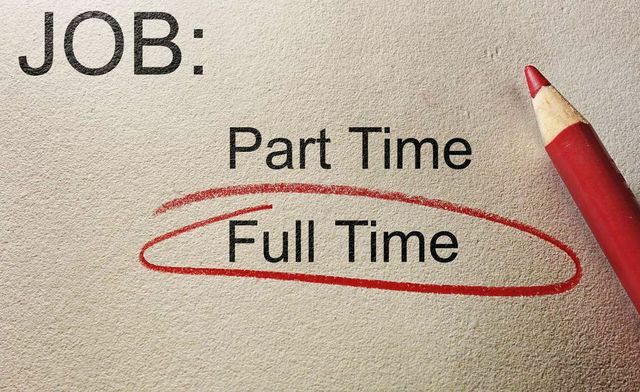 It is no longer a question of full-time or part-time. Get some help or guidance on job-share possibilities - there are very, very few jobs that cannot be done as a job-share. I should know, I ran Communications globally for an investment bank with my job-share partner for over a year. We had to be reactive, respond to crises, present to Board Directors and deal with the media, but do you know what? It worked really well. For more examples see the Power Part Time List. Get information from specialist recruiters about the range of different options available. My company, Feel, specialises in helping clients who are open to finding outstanding candidates who need some aspect of flexibility. We leave it to the candidate and the interviewer to talk about what the requirements of the role are and how the candidate will meet them. I can promise you, you will be astounded at the ways people make it work. It may feel risky or require an extra conversation with HR, but the business risk to your organisation of hiring more people from the same cookie cutter who can all do the a.m and p.m. slots in an office, is far greater. "Companies with 30 percent female executives rake in as much as six percentage points more in profits." And in the meantime can we just stop classifying jobs as full or part-time. Try it, you will be pleasantly surprised.